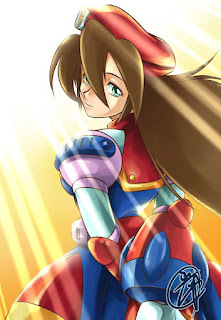 First Dr. Wily and now this.... and Yuko was young, this is sad, I don't fell right. I knew her for more than just Iris but yeah, this hurts, it's such a shame. WE MUST KILL CANCER> Its pure evil, really! She had an awesome career R.I.P. Mizutani Yūko. You won't be forgotten. May she rest in peace. My condolences to her family and friends. And I'm sure there's an all-too-obvious (and maybe inappropriate) joke in there somewhere, but I ain't gonna be the one to say it. Rest in peace, Lady Mizutani. Damn it. Another cancer victim. She had few lines in X4, but she was still a very good voice actress from what I could translate from her script. We lost Tekkaman Rapier. At least she's no longer suffering. 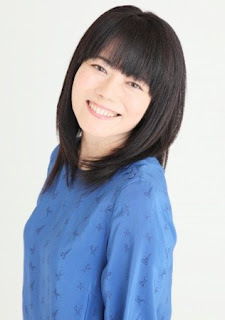 To think that just a few years ago, she and Ryotaro Okiayu had parts and interacted in Kingdom Hearts: Birth by Sleep.